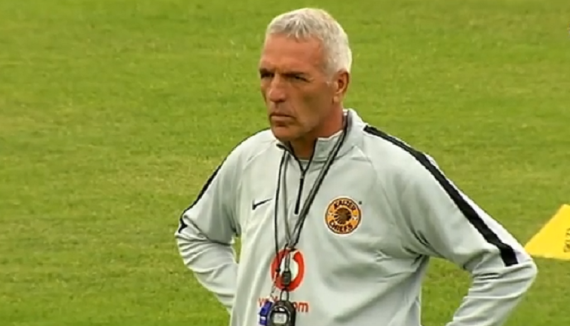 Kaizer Chiefs football manager Bobby Motaung revealed the club partly hired Ernst Middendorp due to his commitment to youth development. Prior to Giovanni Solinas being in charge, previous mentor Steve Komphela showed faith in young players by playing the likes of Wiseman Meyiwa, Siyabonga Ngezana, Ryan Moon and Siphosakhe Ntiya-Ntiya. However, Solinas appeared not to share that faith and handed very few opportunities to younger stars in the Chiefs squad. As such Motaung, who is affectionately nicknamed 'Bobsteak' by Amakhosi supporters, said: "That's one of the things, he follows development. "The coach and the assistant [Shaun Bartlett] need to work with the structures and I think that's one of the reasons we brought Ernst back. "He is passionate about development, he works with young players. I did not unpack all of the challenges about Solinas because I was avoiding to discredit and credit certain things. "We want to respect the man, he has left and we parted ways amicably. But obviously those challenges were there. "There's a structure here, there's a policy in how we work with the academy and the first team. "For now, we are looking at fixing it and looking forward. It's a pity that when we do interviews people present, but it's two different things once you are in the mix. But that's the nature of the game." The Glamour Boys play their last game of 2018 when they face Madagascar's Elgeco Plus in a CAF Confederations Cup First Round second leg tie at the Stade Municipal de Mahamasina in Antananarivo. Chiefs won the first leg 3-0.